The Iowa Central TEAC and Peer Mentor program are sponsoring Friday movie nights every week of April! The Peer mentors would like to invite Iowa Central students to join them in the Student Resource Center (SRC) at 7:00 every Friday during April for a featured movie! 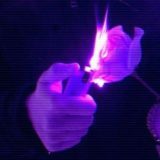 The first movie of the month was shown on April 5th. Students gathered together to watch Aquaman! 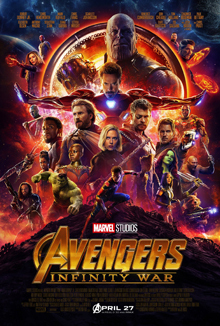 As the excitement for the release of the new Avengers: Endgame builds, the movie will hit theaters on April 26th, be sure to refresh your memory on the previous Infinity War movie! 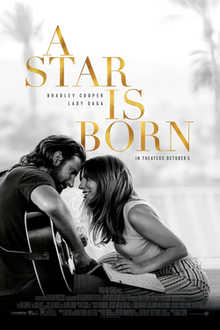 Starring Lady Gaga and Bradley Cooper, this film was chosen by the National Board of Review and the American Film Institute as one of the Top 10 Films of 2018. This movie received five nominations at the 2018 Golden Globe Awards, including Best Motion Picture for Drama. A Star is Born also received eight nominations at the Academy Awards, including best picture. Bring your blankets, pillows, and friends to the movies showing in the SRC at 7:00! Popcorn, M&M’s, and pop will be provided for all students. previousRecord setting year for Triton Nation Dance and Cheer Team!